Although Ben & Jerry may be famous for creating off-the-wall ice creams with names like Cherry Garcia, Wavy Gravy and Chunky Monkey, they weren't the first to build a business whipping up exotic frozen treats. That distinction belongs to another famous duo, Burt and Irv-better known as Baskin and Robbins. Their visionary idea of offering a different ice cream flavor for every day of the month, along with their unique franchise system, gave birth to the modern ice cream industry and paved the way for future superpremium ice cream makers such as Ben & Jerry's and Haagen-Dazs. Born in Tacoma, Washington, Irv Robbins got his early experience in the ice cream industry working in his father's ice cream and dairy store, where he noticed that people visited the store not only to buy ice cream, but to take a break from the hustle and bustle of everyday life. "It wasn't like making a trip to the pharmacy or the grocery store," Robbins recalls. "It was a small, affordable, but very pleasurable treat." Believing there was a market for ice cream beyond his father's ice cream parlor, Robbins toyed with the idea that he could offer his frozen delights through grocery and other retail stores. Realizing that most retail stores were interested in selling a lot of product, be it ice cream, bread or brooms, Robbins decided to give his ice cream an edge by staying up late at night preparing out-of-the-ordinary flavors and attention-grabbing signs. But he would no sooner place a sign in a grocer's store than another vendor would come by and take it down. As a result, Robbins' initial venture into the ice cream business was only moderately successful. Robbins' ice cream dream was put on hold by a stint in the military during World War II. Upon returning home from the war, Robbins needed to find a venture to support his wife and child. While in the military, he'd come to the conclusion that offering his products through retail stores wasn't the best way to market his ice cream. Instead, he conceived the idea of opening a store where people could come in to take a break and enjoy exotic-flavored ice creams, just as they had in his father's store. Initially, he wanted to open a store in his hometown of Tacoma, but was unable to find a suitable location. It was during a vacation to Los Angeles, while cruising the streets of Glendale, California, that he spotted a store for rent in a setting that seemed ideal for an ice cream parlor. So with $3,000 he'd saved from his military pay and another $3,000 from an insurance policy, he opened his first store-SnowBird-on December 7, 1945. People flocked to the small stand to sample Robbins' 21 different flavors, and encouraged by his success, Robbins quickly added two more stores. While Robbins was laying the groundwork for what would become the world's most widely recognized ice cream chain, Burton Baskin was building his ice cream expertise half a world away as a Navy PX operator in New Hebrides (now Vanuatu). After obtaining an ice cream freezer from an aircraft carrier supply officer, the enterprising young Chicago native churned out creamy treats made from the South Pacific islands' vast array of tropical fruits for his fellow servicemen. During the war, Baskin married a lovely young woman named Shirley, who also happened to be Irv Robbins' sister. When Baskin returned from the war, Robbins was about to open his fourth ice cream parlor. Instead, he offered it to his brother-in-law, saying, "You take it and do the same thing I'm doing." But the two didn't join forces right away. It wasn't necessarily that they were opposed to a partnership. They were simply heeding the advice of Irv's father, Aaron. No stranger to the pitfalls involved in the ice cream business (he'd owned his own ice cream parlor for nearly 20 years), the senior Robbins warned: "If you become partners right away, you'll compromise too many of your ideas in an effort to get along." The advice proved sound, so after trying out their own ideas for about a year, the brothers-in-law were ready to become partners in 1947. The union was harmonious from the start because both men shared the same basic marketing philosophy-to sell nothing but ice cream, and in a multitude of flavors. The key to the strategy was offering exotic flavors. At the time, most ice cream parlors offered only a small selection of flavors: chocolate, vanilla and maybe strawberry. What would separate Baskin-Robbins from the crowd was its large flavor selection. Initially, the duo's expectations were small, which was quite ironic considering their ultimate success. "We just wanted to make $75 a week. And we wanted to enjoy ourselves doing it," Robbins recalls. "Of course, when we reached our goal we upped it to $100, then $125 and so on." By 1948, the partners were setting their sites on a much higher goal. They already owned nearly a dozen ice cream stores and wanted to launch more throughout Southern California. There was only one problem-they didn't have the capital needed to start those new stores. So instead of opening stores themselves, they decided to sell stores to their managers, thus becoming one of the nation's first ice cream parlor franchises. Under the franchise agreement, the company would furnish ice cream, merchandising aids and advertising, while the manager-owner would take care of the day-to-day operation of his or her store. Fueled by the influx of capital provided by the franchising plan, the ice cream chain expanded rapidly, growing to 43 franchised stores by the end of 1949. To further spur sales and set their stores apart from other ice cream parlors, in 1953 Baskin and Robbins came up with the idea of offering 31 different flavors-one for every day of the month. To create a "buzz" for their bountiful selection, they gave their flavors offbeat names like ChaChaCha (cherry chocolate chip), Plum Nuts (plums, vanilla and walnuts) and Tanganilla (tangerine and vanilla). In addition, Baskin and Robbins rotated the mix of exotic flavors they sold to their franchisees so their selection would remain interesting to regular customers. The concept caught on and Baskin-Robbins continues to use its "31 flavors" branding to this day. 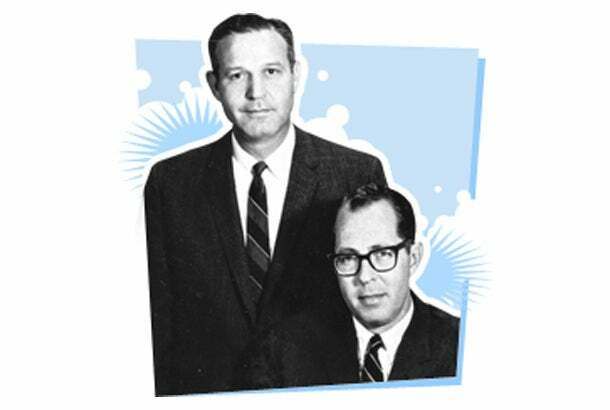 In 1959, Baskin-Robbins made its debut outside California, when the brothers-in-law contracted with Lilly Ice Cream Co. to operate a Phoenix franchise. By 1960, the number of stores in the chain had passed the 100 mark, with new locations opening every few weeks. In 1967, Baskin and Robbins sold their thriving ice cream empire, which by then consisted of 500 stores, to United Fruit (now United Brands) for an estimated $12 million. Less than six months after the deal was cut, 54-year-old Burton Baskin died unexpectedly. Irv Robbins remained with the company until his retirement in 1978. During that year alone, more than 20 million gallons of his ice cream was sold through more than 2,000 Baskin-Robbins stores throughout the United States, Canada, Europe and Japan. The company continued to grow after the departure of its sole surviving founder, and by 1983, Baskin-Robbins could boast that it had marketed close to 1,000 different flavors during its 37-year history, many of which have become American classics. Today, more than a half-century after Burt Baskin and Irv Robbins came up with the idea of having one flavor for every day of the month in a single ice cream store, Baskin-Robbins (now a wholly owned subsidiary of Allied Domecq PLC) is the world's largest ice cream chain, boasting more than 4,400 stores operating in more than 50 countries. We All Scream For Ketchup Ice Cream?! Not all Baskin-Robbins ice cream creations have enjoyed the sweet success of such classics as Tanganilla, Fudge Brownie and Jamoca Almond Fudge. Goody Goody Gumdrops, a flavor Irv Robbins created by mixing tiny gumdrops with vanilla ice cream, had to be pulled from the market when the company feared an unsuspecting customer might break a tooth on the gumdrops, which became rock hard when frozen in the ice cream. Other less than successful flavors include such dubious offerings as "Ketchup," "Lox and Bagels" and "Grape Britain." While Ben & Jerry's and Haagen-Dazs have become major players in the ice cream market, Baskin-Robbins still reigns supreme. For 12 of the past 15 years, Baskin-Robbins has been voted "America's Favorite Sweets Chain" in the prestigious Restaurants and Institutions magazine survey, as well as receiving the highest overall rating for menu variety among all fast-service restaurant chains. In addition, Entrepreneur magazine has consistently ranked Baskin-Robbins as one of the top franchises in the United States.